Today I have a lovely home decor inspired collection to share with as part of the Celebrate Color festivities, which are all quite exciting btw! The main Celebrate Color page is filling up nicely with tons of inspiration and projects, have you stopped by recently? For today's post I have been collecting some fabulous Etsy finds for a few weeks now (enough in fact to make a bunch of these posts!) 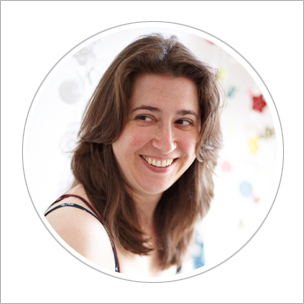 but after narrowing them down by thinking of the home decor themes I like to live with I have settled on a light and airy but warm theme, with a mix of traditional and quirky details. 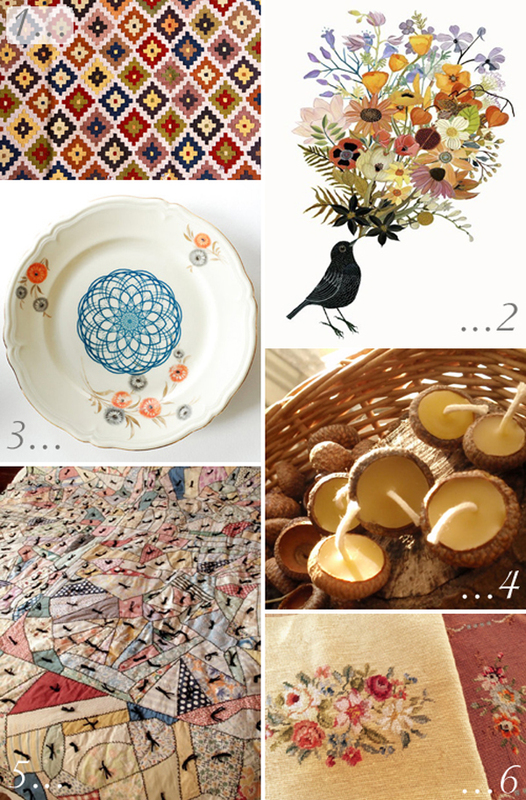 That wonderful eclectic mix that Etsy can so perfectly provide every time. Enjoy! Here I love layers of white, cream and grey, they feel so warm and inviting. 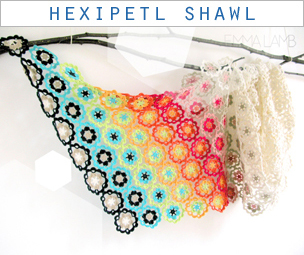 They perfectly highlight all the beautiful details of these finds such as bylina's upcycled textile wall hoops and Erica hogenbirk's bottle cover. I can just imagine a whole grouping of these grey Bloom designs in all different sizes, holding cream branches with a careful sprinkling of decorations. That would make such a lovely alternative to this years Christmas tree, don't you think? 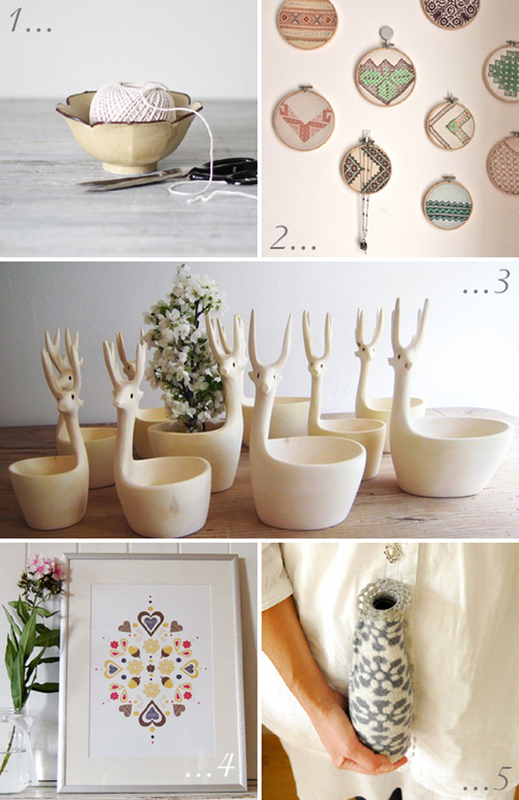 Oh, and I adore Monda's new 'I heart acorns' print, it has such a beautiful Scandinavian vibe that I love! Again I am quite smitten with the layers of cream here but it is made even warmer with wee details of autumnal mustard and orange. I love the light play in this amazing origami light pendant and in Stepanka's translucent porcelain cups, which I think would be ideal for holding wee tea lights. A great way to update you home for the autumn (or any season in fact) is to have a wall of picture frames where you can swap prints in and out very easily. It doesn't have to be an expensive way of decorating either, you can easily find great frames to upcycle at your local charity shop / thrift store and build a collection of prints over the years. Maybe treat yourself to a new one each season, I would happily treat myself to both Kari Herer's rabbit print of Sandra Dieckmann's Magic Breeze, both are so beautiful! If you're low on prints (or the funds to splash out on them) there's no reason why you can't fill frames with seasonal finds, a whole bunch of them filled with different coloured autumn leaves and shapes would look amazing, wouldn't they!? Oh, I do like this take on traditional meets quirky - kilim rugs with traditional floral needlepoint designs and stunning crazy quilt work offset by Geninne's Bouquet illustration and Ninainvroms Spirograph plate (one of my absolute favourites of her work!). Let's not forget these inspired acorn cap candles, how cute are they!? I know I have a whole bunch of vintage glass bowls that would look absolutely perfect filled with water and a wee collection of these floating in the top. That would make such a great table centre piece, either on your coffee table for a cosy evening or on your dining table for Christmas or Thanksgiving, that is if there's any room with all the food that will be spread out! You can also see all these lovely finds in this special Etsy treasury I put together to help spread the word of Celebrate Color. 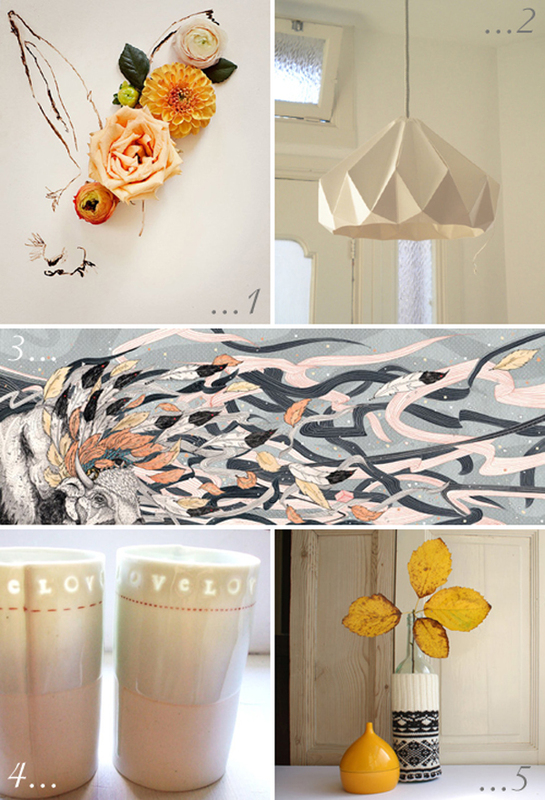 Oh, and I would love to know which would be your top pick from this collection for a spot of autumnal home decorating? Such perfect, muted colors. Lovely. wow stunning! so many beautiful images and the colours are lovely! Emma, you've got a fine eye, and your samplings prove with every one of these posts. 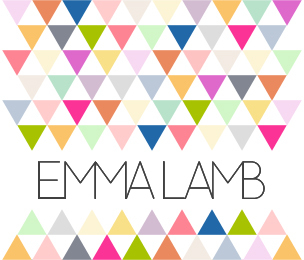 awww thanks for featuring my print Miss Emma. It was such a nice surprise to see it alongside all the other lovelies.